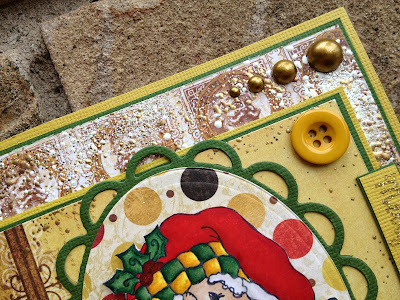 WOW, we had such a fun month at OCS with our Christmas challenge, High Hopes blog hop and daily High Hopes inspiration on the blog! 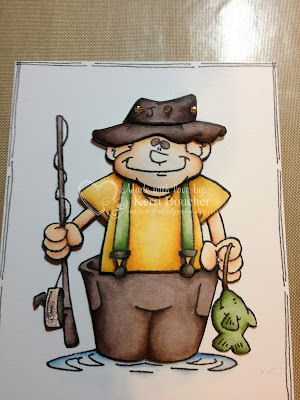 Thanks for joining in our challenge this month as well as the other events we had on the blog. "To all the gals on the OCS Design Team I wanted to say thank you for a job well done. 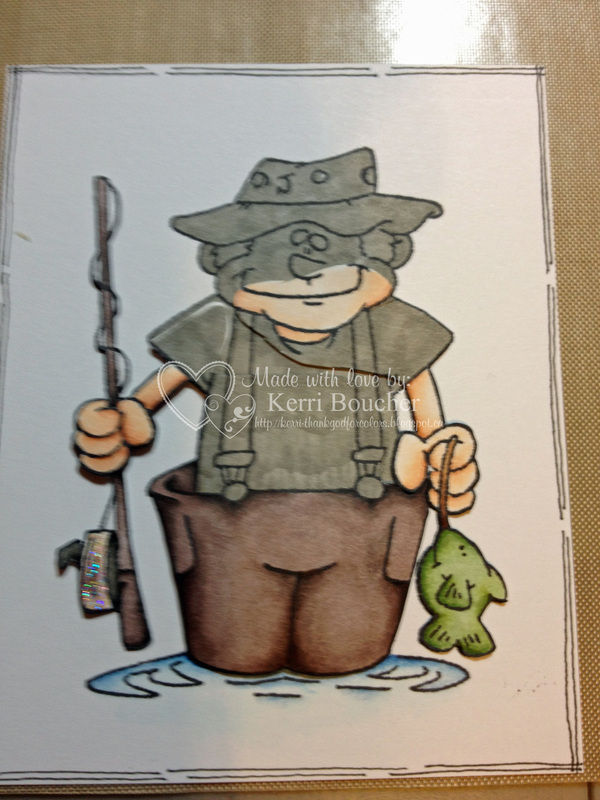 Your creations featuring the August release of High Hopes stamps were awesome." We used random.org to choose the winner from our September challenge. Please email lora at onecrazystamper dot com to claim your prize. It has been a fun filled month at One Crazy Stamper showcasing the August Christmas release for High Hopes Rubber Stamps. For my last post for this month, I have used the new Candy Cane Penguin and Winter Wonderland Background (High Hopes Rubber Stamps). I used the following Dee's Distinctively Dies to decorate the trees: Garland, Mini Decorations and Mini Stars. 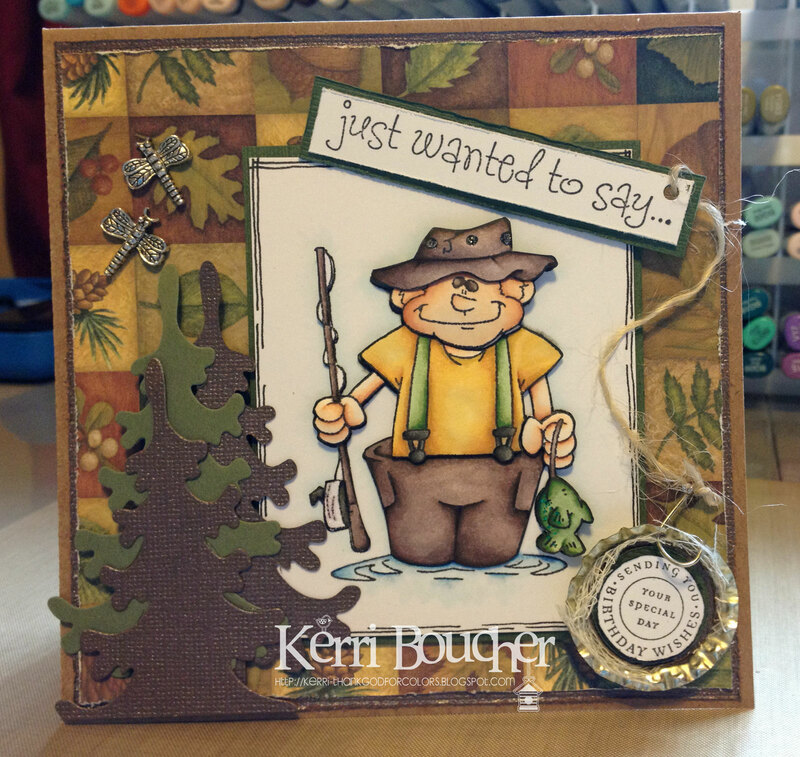 Today is the last day to enter this month's Christmas in September challenge for a chance to win a Die Cut 2 pack. Tuesday is the 1st of October and this means a brand new challenge for OCS. Do check out Lora's online and brick and mortar stores One Crazy Stamper for some amazing new products which are arriving daily. 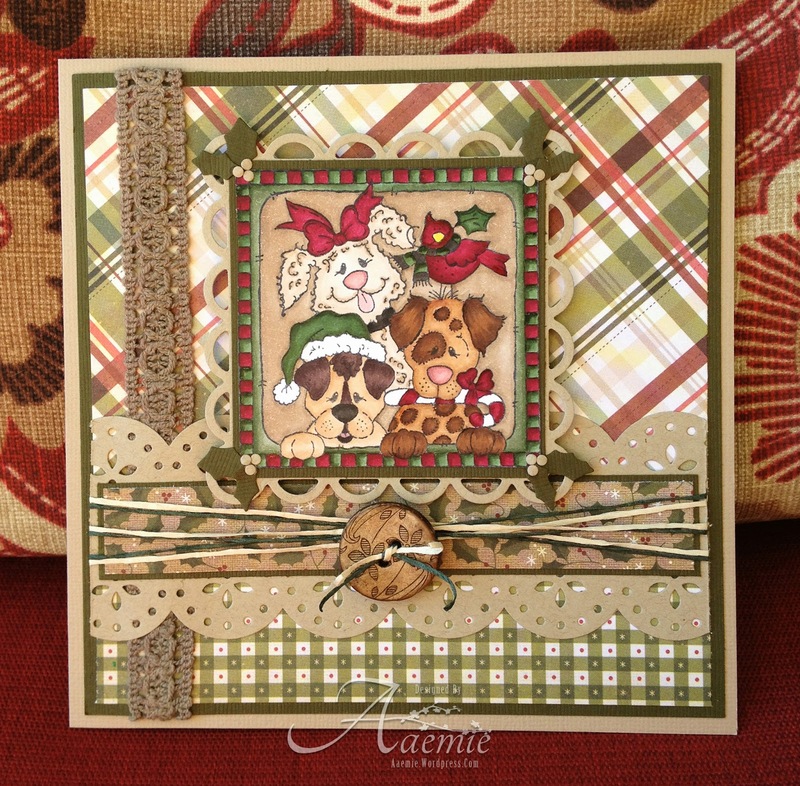 Hey hey and happy Saturday to all of One Crazy Stampers fellow crafty friends, our September Christmas challenge is almost over and it is my turn to share my last christmas creation this month using Dog Trio Block. 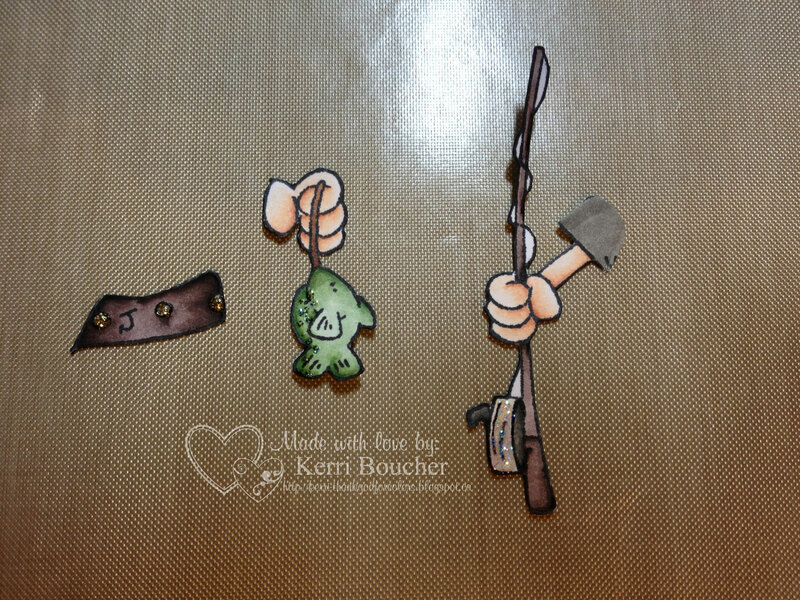 I coloured these fur friends with my copics, used some kraft paper, twine, lace and a wooden button for a earthy look. 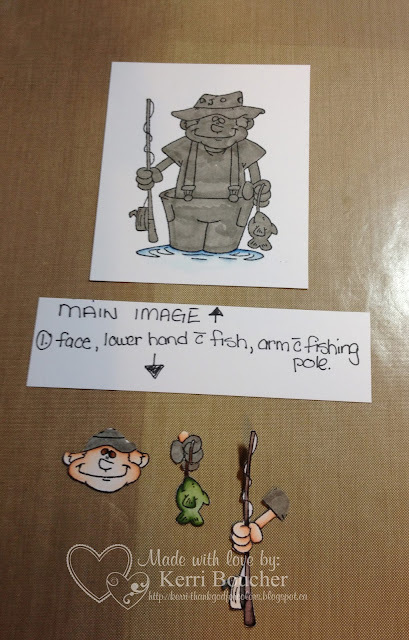 Hurry up and enter your christmas projects and be sure to check out our new challenge on the 1st. Have a fab day everyone!! 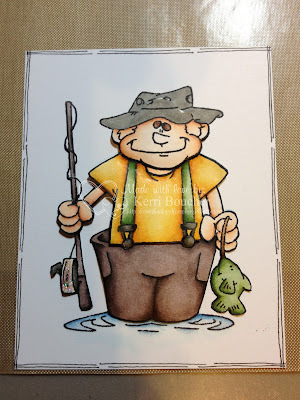 I thought this image and sentiment were so special that I wanted to create a gift box for a friend. 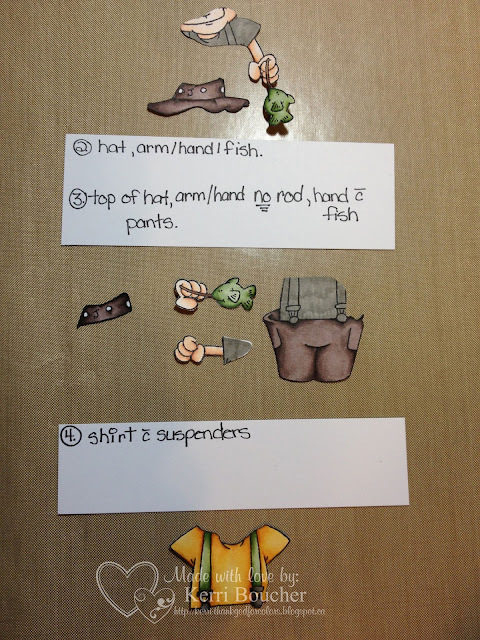 I made the box using sturdy cardstock and using my Score Pal. 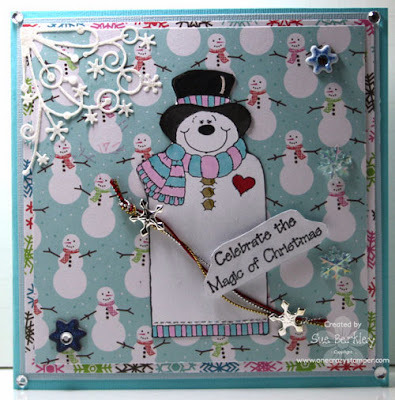 You still have a couple of days left to enter your Christmas project into the monthly challenge for your chance to win a fabulous High Hope Christmas Stamp prize! Until Next Time, Keep Crafting!! 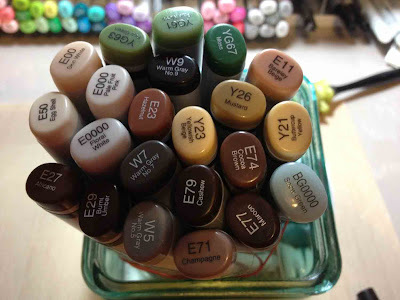 Labels: Copic Markes, Copic Xpress It Card Stock, High Hopes Rubber Stamps, Memento Inks, Shari G.
Good Morning. Hasn't the last month been fun seeing all the Christmas projects using the High Hopes new releases? 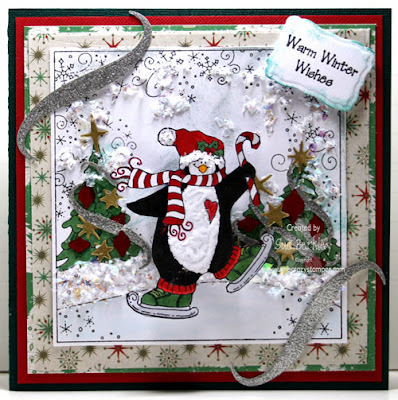 If you have been inspired too you still have time to join us this month for our CHRISTMAS challenge. But time is running out. Today is my last Christmas post for this month. 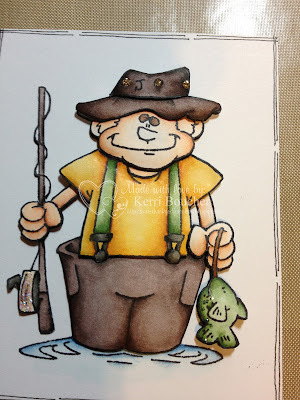 I am using the Snowy Tag stamp and I have two tags I have created ~ one is traditional and one not so much. The first tag is paper pieced with the matching paper and the second tag was covered with 3 different patterns of washi tape. I like how both methods disguise the colors showing through. Thanks for coming by. 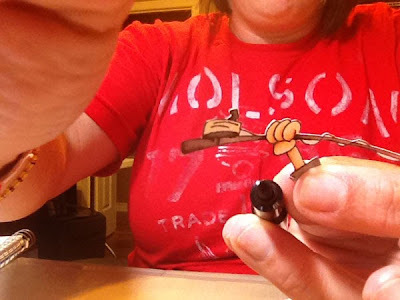 Have a great day and keep crafting. Making Friends in the Snow!! I had a great time coloring this image with my Copic Sketch Markers, and loved the final design of the card. 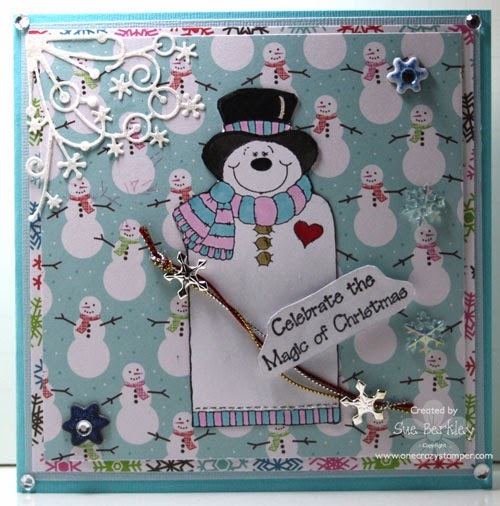 The dp is from We R Memory Keepers Winter Frost collection, touches of white flocking are added to the fur trim of the snowman's hat, and I have added tons of 3D snowflakes by just using a Sakura White gel pen. This is definitely my favorite card this month. 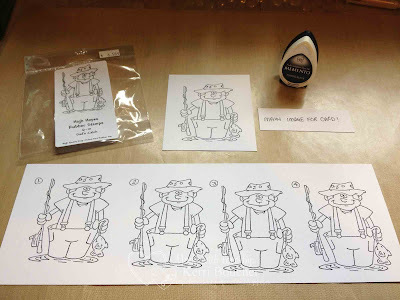 There is still almost a week to go for you to enter the monthly challenge here at One Crazy Stamper to win a fabulous prize. 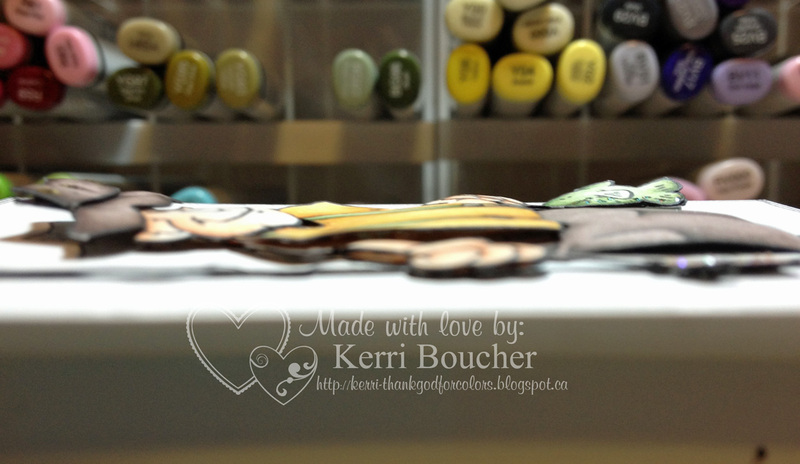 Thanks for stopping by, I sure have loved creating with these High Hope stamps. This one is called "Snowy's Cup", and the sentiment is pretty cool! 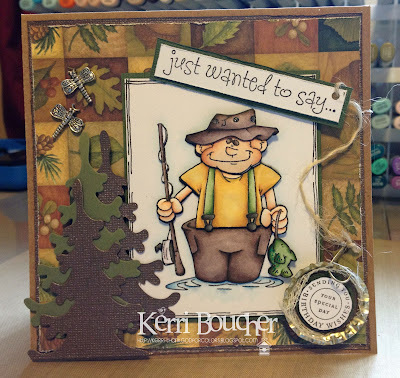 I can't believe our Christmas in September here at One Crazy Stamper is almost done, where did the month go...I know winter shhh will be upon us before we know it, Ugh! But maybe things will slow down a wee bit too! 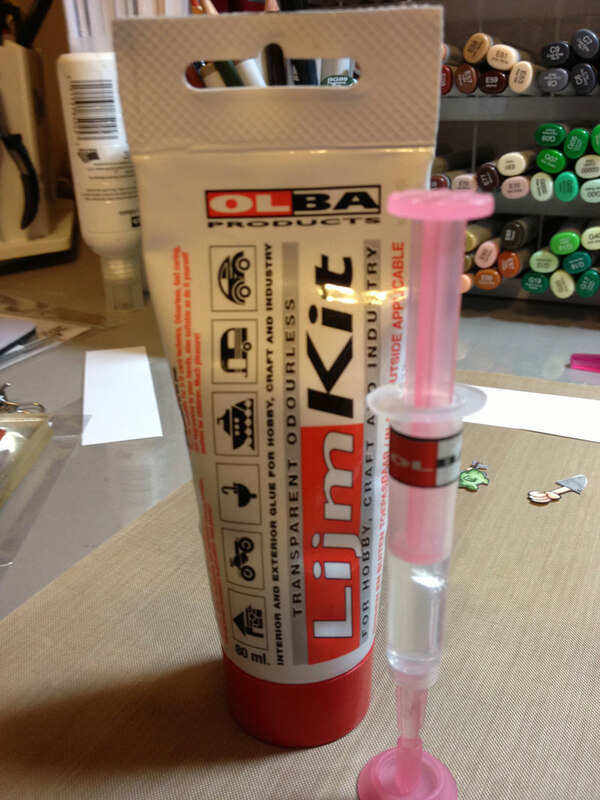 Makes for more time to craft. Please stop over at Lora's store here, do some shopping! 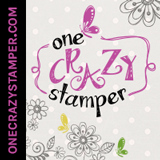 Play along with our challenge here at One Crazy Stamper. 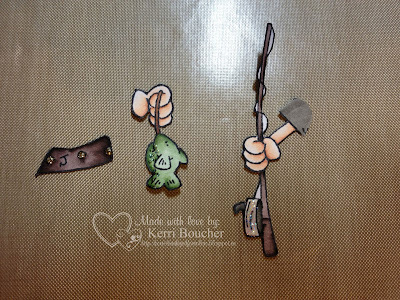 And I hope you get a chance to get crafty! 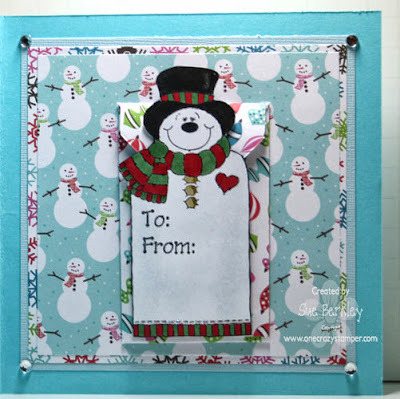 It is still Christmas in September here at One Crazy Stamper and for today's post I have used this adorable Snowy Tag and the Envelope Punch Board from We 'Re Memory Keepers to make a gift card size envelope for the inside of the card. This Envelope Punch Board is awesome and making envelopes in all different sizes is very easy to do. 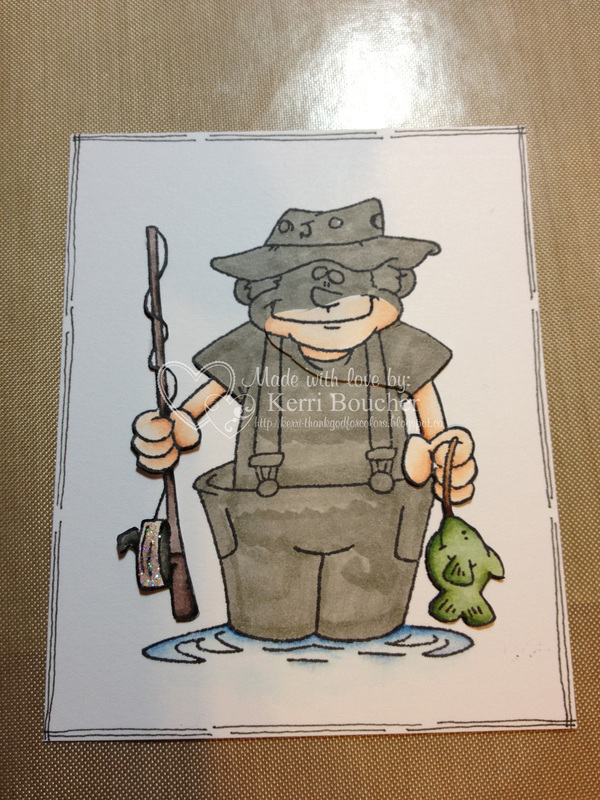 The Gift Card size is perfect for the gift cards that are great for presents. I also used some non traditional Christmas Colours which is something new for me. 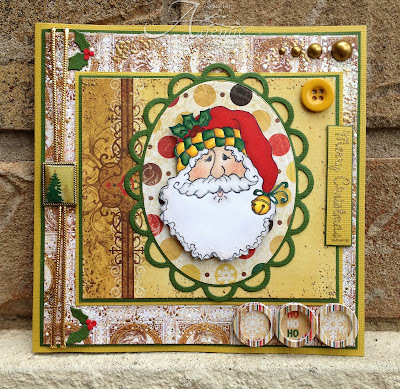 There is still time to enter this month's Christmas in September challenge for a change to win a die cut prize from One Crazy Stamper. To help with your creative endeavours, check out Lora's OCS online and brick and mortar stores. Hello everyone! 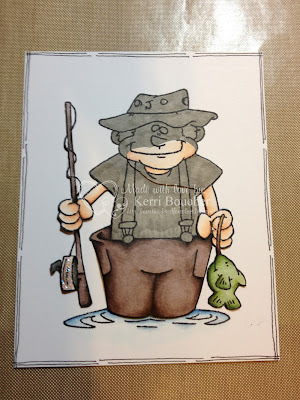 It is a rainy day here, and it could be a great day get some cleaning or crafting done...hmm what to do... Okay maybe a bit of both. 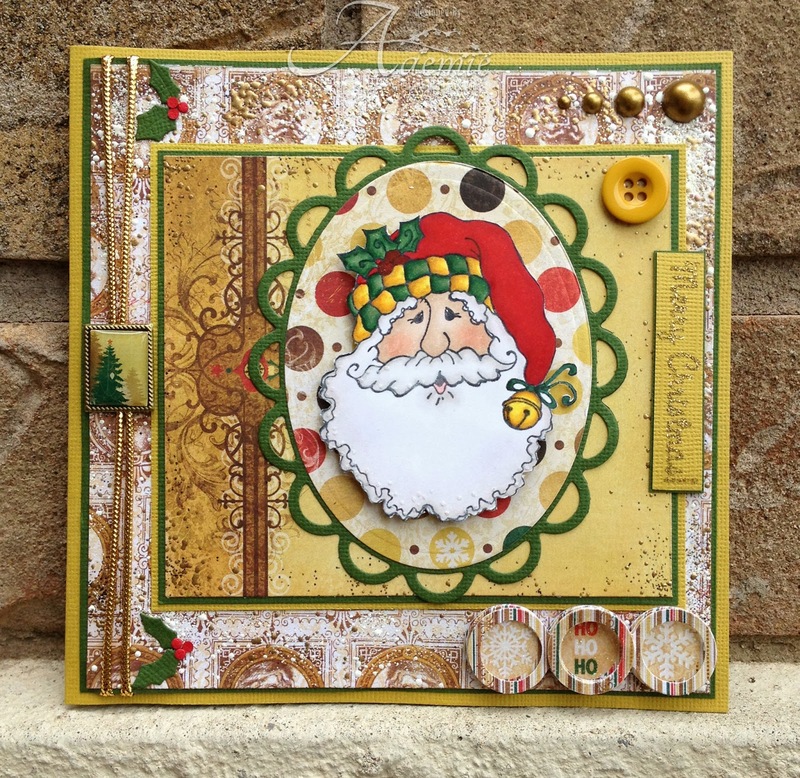 For my card today I'm using a High Hopes stamp called Elegant Santa, and I thought he would look nice on a kinda vintage themed card. 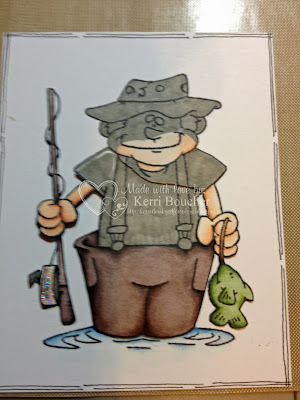 I recently picked up a Frantage Embossing Kit at OCS and had so much fun using it, so don't be too surprised to see it on my next few projects. I used the lovely new Bo Bunny Silver and Gold DP with all the matching embellies and some beautiful gold rope. Btw loving all the entires in our "Christmas" challenge, keep 'em coming ladies! Well I hope you all like my card and have a wonderful day! 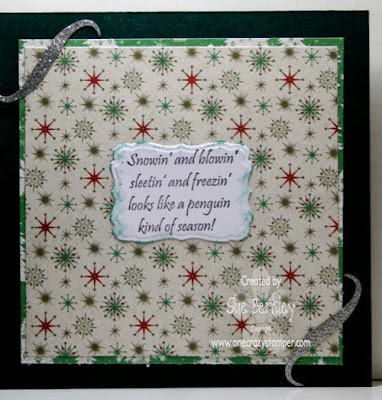 Well it is Friday again and my turn to show you another Christmas card using the new amazing High Hopes Christmas release! Today I am going to show you a card that I am SOOOOO very proud to call my own! 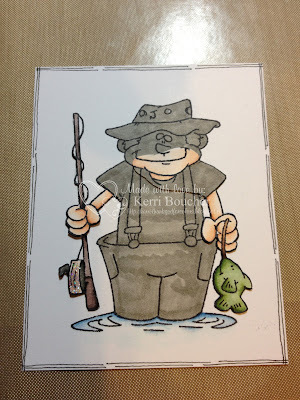 I just LOVE how this card turned out and it even has some "action" to it!! Did you notice the added banner that Santa is flying behind his plane? 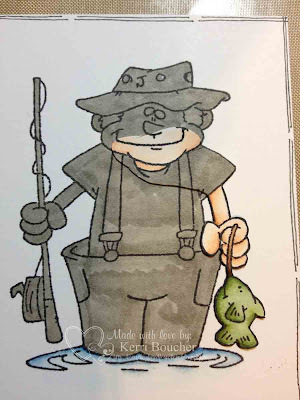 And here is the "action" where I used an ACTION WOBBLE behind the image to make the play "fly"
I sure hope that you enjoyed today's card as much as I do. 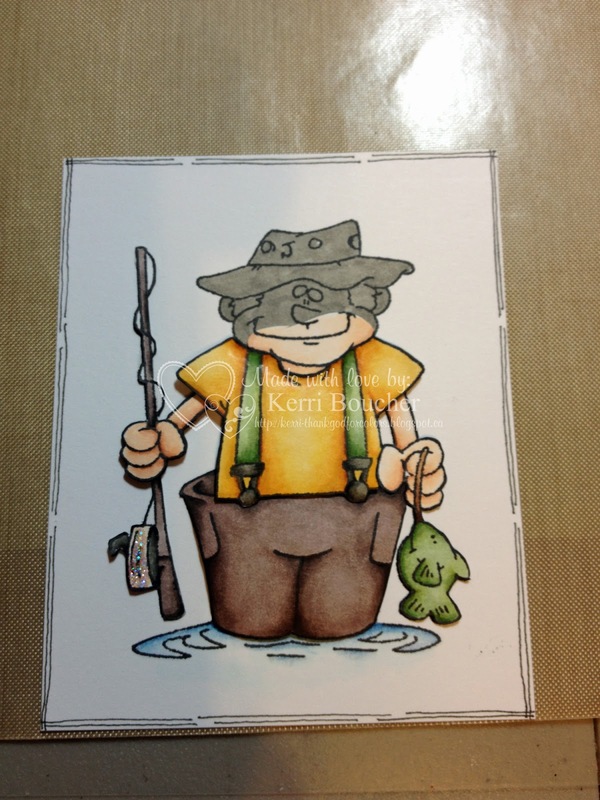 If you have never tried Action Wobbles I highly recommend that you do, you will LOVE them! 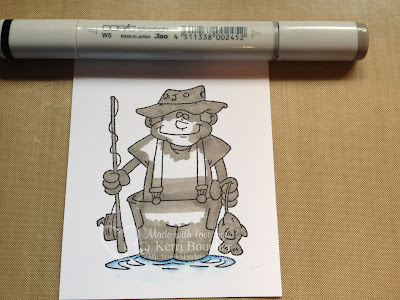 Labels: Action Wobble, Copic markers, Copic Xpress It Card Stock, High Hopes Stamps, Memento Inks, Shari G.
One Crazy Stamper/ High Hopes Stamps BLOG HOP! !